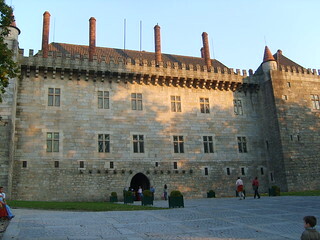 The northern Portuguese city of Guimarães is a UNESCO World Heritage Site. Guimarães was originally settled in the 9th century (then known as Vimaranes) and was involved in the formation of modern Portugal. This was because a series of political and military events that took place here in 1128 leading to the birth of the new nation of Potugal through independence. This is recorded on the wall of an old Guimarães city tower (Aqui nasceu Portugal – Portugal was born here). 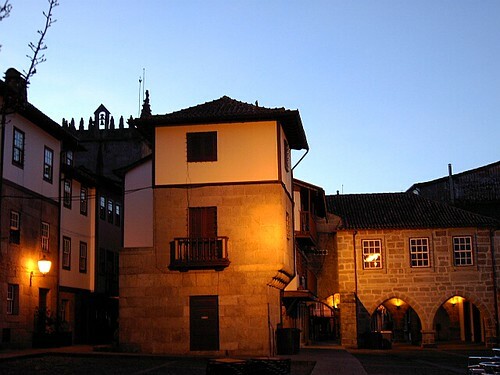 Guimarães, promoted to a city in 1853 by Queen Maria II, was most probably the birthplace of the first Portuguese king Afonse I and is also currently known as Cidade Berço (cradle city). 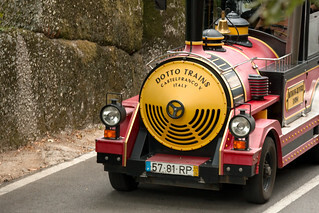 Together with Maribor (the second largest city of Slovenia), Guimarães is European Capital of Culture for 2012. The location of Guimarães, in a valley surrounded by hills, ensures a relatively steady climate. Autumn, which is warm, colourful and pleasant is an excellent time to visit. The Vila Flor Cultural Centre, museums, grand churches and many art galleries compete for visitor’s attention. The local Minho gastronomy is best represented by the “meat cake”, a type of rounded bread with bacon, sardine and vegetable toppings. Guimarães’ pies (Tortas de Guimarães) are a typical sweet dish. The phallic form “Sardão” cake is offered by a young male to a girl, who can show her interest by counter-offering a “Passarinha” cake during the Santa Luzia festivities on the 13th of December. The annual Gualterianas fiesta “Festas Gualterianas” takes place during the first weekend of August. The student parades and festivities (Nicolinas) at the end of November/beginning of December are excellent fun, while the Battle of the Flowers (Batalha das Flores) and the Gualteriana march (Marcha Gualteriana) are also worth looking out for.